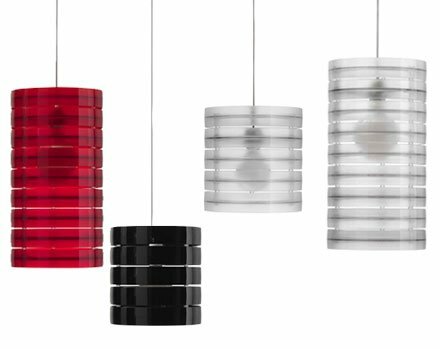 This is the new Ring Lighting Collection designed by Lorenzo Stano and manufacturered by Caimi Brevetti. 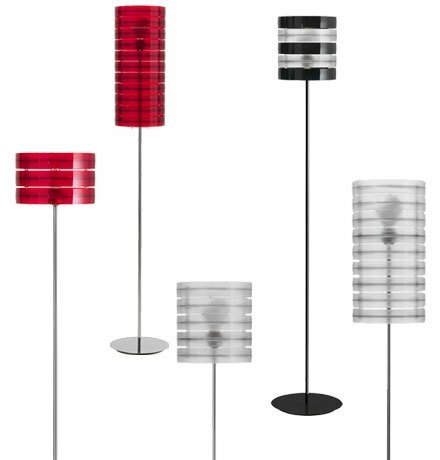 The polymer rings are connected through joints which allow the lamps to be sectional in height. 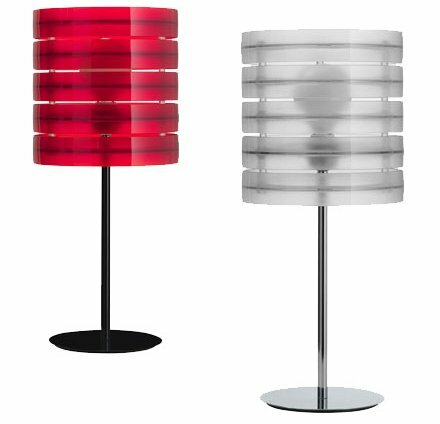 The collection comes in red, white or black, and includes a table lamp, a floor lamp and a hanging lamp.